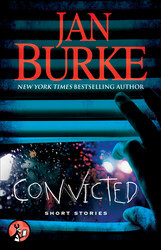 The following excerpt is from bestselling mystery author Jan Burke; “Tried” is one of six story collections from this master of suspense–don’t miss excerpts from “Apprehended” and “Convicted” this week as well. And the best part? Each of them is available for only $1.99! Some of the stories in each collection are from her most recent book, EIGHTEEN, but these excerpts are all from the brand-new, never-before-published stories she wrote for this digital-first release. “Well, how good of you to bring him to us right away,” she said. living with me had been too much for her. He said that only his love for my mother allowed him to tolerate my dangerous presence in the house, and he again pleaded with her to have me locked away. 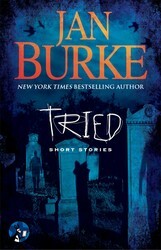 From the New York Times bestselling suspense author Jan Burke comes a brand-new e-short story with the added bonus of three short stories from the Eighteen anthology.Apprehended is a mini-anthology containing a brand new short story from Jan Burke. 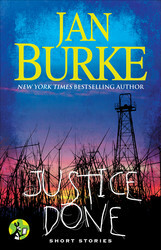 which features the fan-favorite investigative reporter Irene Kelly, back in her journalism school days. 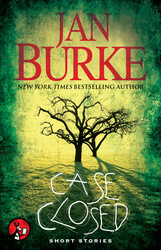 The fifth of six e-short story collections from New York Times bestselling suspense author Jan Burke. 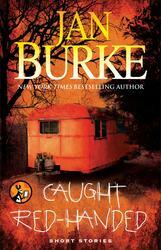 The final story collection from acclaimed suspense writer Jan Burke's Pocket Star series: Caught Red-Handed, Apprehended, Tried, Convicted, Justice Done and Case Closed. 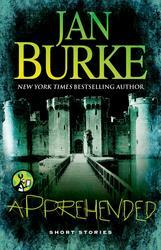 A new story in each collection!